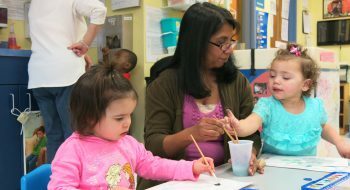 Partnerships for Early Learners aims to move 300 early childhood professionals towards degrees and credentials via a T.E.A.C.H. Scholarship Expansion project. In conjunction with the Scholarship Expansion Initiative, we wanted to launch a project with our very own Day Early Learning Employees in order to evaluate and analyze the results of providing additional targeted support and incentives to our employees. The first cohort of scholars was selected in Fall 2015. With the support of scholarships, these scholars began their courses in the 2016 Spring Semester. The initiative focuses on supporting Day Early Learning teachers and Directors on four-year degree paths with goals to achieve a Director’s Credential, a B.A. degree in Child Development or Early Childhood along who have goals for the targeted credential and degree pathways and are approved for a Partnerships for Early Learners Scholarship. 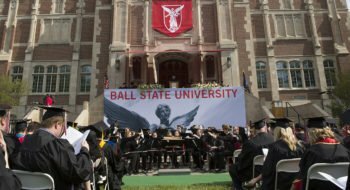 In addition to the incentives and supports provided by the scholarship itself, participants also receive a stipend after each completed semester, along with a few other perks along their journey. Early Childhood Providers: Don’t miss this grant opportunity!